Due to recent FTC guideline changes, i thought it'd be a good time to update my policies page and notify Relentless Bride Blog readers about such changes. 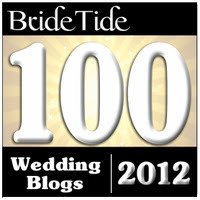 Secondly, comments on Relentless Bride Blog ARE moderated. Although I do not moderate comments before publishing, that does not mean I do not have the right to delete any comments I deem inappropriate. Inappropriate comments include hurtful, rude, inappropriate, SPAM comments (including promotion of products unrelated to the blog and/or blog post), in any way offensive, or I just do not approve of... I encourage honest opinions and views, and the right to disagree - however, I do maintain the right to delete comments. Please note that by commenting you are authorizing that the comments are subject to approval by the Relentless Bride Blog. FINALLY, the FTC came up with new regulation as of December 1, 2009 requiring bloggers to disclose any paid for relationships with companys/products/services that sponsor or advertise on my blog. Please check the policies page for how the various labels may denote paid for (through monies, bartered services, or discounts) posts on the Relentless Bride. The Relentless Bride does have many sponsors on our site, some paid for and some bartered for; and some friendors (Friend Vendors). When posts are done about these sponsors, the labels will clearly denote if it is a sponsored post. Many of my sponsors are also my own wedding vendors. I believe in the products advertised on my site and try to only include vendors or services that will benefit other brides. My tweets will also denote any paid for tweets or tweets about sponsors. I encourage you to check back with the Policies page as things may change and be updated. 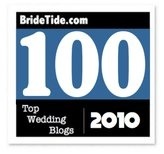 It is very important for me as a bride and as a blogger that I have full disclosure on my Blog. Many times I am sent samples of things to review and if it is something i think can benefit a reader, I will post about it. I love to do giveaways/contest - and most, if not all are done without any tangible/material/monetary benefit to the Relentless Bride Blog. If i can help give out free stuff, i am all about that. My sponsors are great and occasionally post on my blog as well - when it is not me, I will let you know. I'm often asked to spread the word about various sales, offers, giveaways etc... and that is done for all my sponsors and many that are not as well. I just love a good sale! So I hope that you will continue to find faith in my posts, paid for or not, because I do only post about things I believe in. If you have any issues, please feel free to contact me at any time. I love chatting with my readers - so its always a pleasure! Thank you for your time... and now back to our regularly scheduled programming!